Like a scene from your favorite cooking competition show, a panel awaited each chef. Sitting at the table were Sal Lupoli, President and CEO of Lupoli Companies, Derek Mitchell, Lawrence Partnership, Lane Glenn, President of Northern Essex Community College, and Dan Rivera, Mayor of Lawrence. The second finalist was PapiVivi. 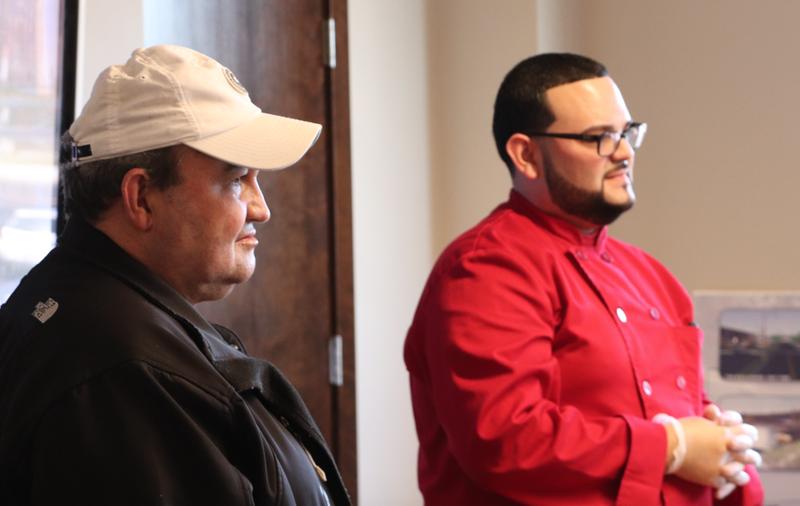 Passing around Puerto Rican-style sandwiches, Sam Cortiella told the panel how this business idea began as a way to connect with his daughter, Vivi. “I wanted to teach her about our culture,” said Sam, “But I also wanted to boost her confidence and find a common bond.” So, they got creative crafting their sandwiches and handing them out for free across all five boroughs in New York City. Citing Lawrence as the best place for him to begin PapiVivi’s next chapter, he expressed how the location and leadership offered by RTK would help him realize his dream of moving into a brick and mortar. “We’ve crossed every hurdle and now we can foster guidance and support for a company that wants to cultivate their business, starting it here and staying in Lawrence as it grows,” said Sal Lupoli. 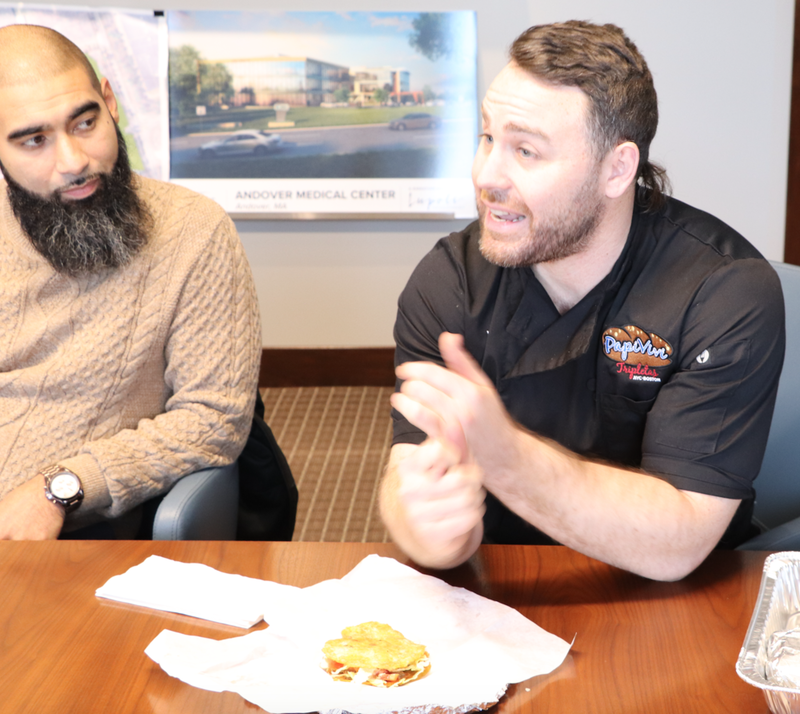 Following the success of the first restaurant, Coco Ray’s, the Revolving Test Kitchen has proven that entrepreneurship is booming in the Merrimack Valley with another resident chef ready to set up shop. See who will fire up this coveted kitchen when the winner is announced at the end of the month!